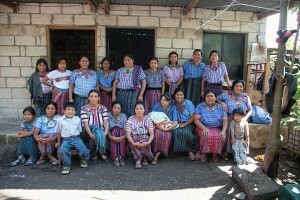 Santiago Atitlan Solala is a group of women artisans in the highlands of Guatemala. They have a board of directors (junta) with rotating leadership, strengthening the group as more women learn what is necessary to keep things working well. The women artisans work with multiple heddle backstrap looms small foot looms.